Dr. Anthony is Director of MIT’s Master of Engineering in Manufacturing Program, Co-Director of the Medical Electronic Device Realization Center, and Deputy Director for the MIT Skoltech Initiative. With over 20 years experience in product realization—Dr. Anthony won an Emmy (from the Academy of Television Arts and Sciences) in broadcast technical innovation—Dr. Anthony designs instruments and techniques to monitor and control physical systems. His work involves systems analysis and design and calling upon mechanical, electrical, and optical engineering, along with computer science and optimization, to create solutions. 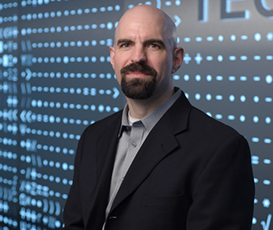 The focus of Dr. Anthony’s research is in computational instrumentation—the design of instruments and techniques to measure and control complex physical systems. His research includes the development of instrumentation and measurement solutions for manufacturing systems and medical diagnostics and imaging systems. In addition to his academic work, he has extensive experience in market-driven technology innovation, product realization, and business entrepreneurship and commercialization at the intersection between information technology and advanced manufacturing. His teaching interests include the modeling of large-scale systems in a wide variety of decision-making domains and the development of optimization algorithms and software for analyzing and designing such systems. He has extensive experience in market driven technology innovation as well as business entrepreneurship. The Device Realization Lab designs instruments and techniques to sense and control physical systems. Medical devices and manufacturing inspection systems are a particular focus. We develop and combine electromechanical systems, complex algorithms, and computation systems to create instruments and measurement solutions for problems that are otherwise intractable. Our research and product development interests cross the boundaries of computer vision, acoustic and ultrasonic imaging, large‐scale computation and simulation, optimization, metrology, autonomous systems, and robotics. We use computation, and computer science, as methodology for attacking complex instrumentation problems—our work combines mathematical modeling, simulation, optimization, and experimental observations, to develop instruments and measurement solutions. Dhyani, M, Gilbertson, M., Samir, A., Anthony, B.W., “Precise Quantification of Sonographic Forces: A First Step Toward Reducing Ergonomic Injury”, 2014 AIUM Annual Convention, accepted (2014). Koppaka, S., Gilbertson, M., Wu, J., Rutkove, S., Anthony, B. W. “Assessing Duchenne Muscular Dystrophy With Force-controlled Ultrasound”. 2014 IEEE International Symposium on Biomedical Imaging (ISBI), accepted (2014). Koppaka, S., Gilbertson, M., Rutkove, S., Anthony, B. W. “Evaluating the Clinical Relevance of Force-correlated Ultrasound”. 2014 IEEE International Symposium on Biomedical Imaging (ISBI), accepted (2014). Sun, S.-Y, Gilberton, M., Anthony, B. W. “Probe Localization for Freehand 3D Ultrasound by Tracking Skin Features”, International Conference on Medical Image Computing and Computer Assisted Intervention (MICCAI), 2014. A full list of Dr. Anthony’s publications can be found on his website.